Ivan Kaminow retired from Bell Labs in 1996 after a 42-year career (1954-1996), mostly in lightwave research. At Bell Labs, he did seminal studies on electrooptic modulators and materials, Raman scattering in ferroelectrics, integrated optics (including titanium-diffused lithium niobate modulators), semiconductor lasers (including the DBR laser, ridge waveguide InGaAsP laser and multi-frequency laser), birefringent optical fibers, and WDM lightwave networks. Later, as Head of the Photonic Networks and Components Research Department, he led research on WDM components (including the erbium-doped fiber amplifier, waveguide grating router and the fiber Fabry-Perot resonator), and on WDM local and wide area networks. Earlier (1952-1954), he did research on microwave antenna arrays at Hughes Aircraft Company. After retiring from Bell Labs, he served as IEEE Congressional Fellow on the staffs of the House Science Committee and the Congressional Research Service (Science Policy Research Division) in the Library of Congress. From 1997 to 1999, he returned to Lucent Bell Labs as a part-time Consultant. He also established Kaminow Lightwave Technology to provide consulting services to various technology companies, and to patent and litigation law firms. In 1999 he served as Senior Science Advisor to the Optical Society of America in Washington. He also served on a number of professional committees. He received degrees from Union College (BSEE), UCLA (MSE) and Harvard (AM, Ph.D.). He was a Hughes Fellow at UCLA and a Bell Labs Fellow at Harvard. He has been Visiting Professor at Princeton, Berkeley, Columbia, the University of Tokyo, and Kwangju University (Korea). In 2004 he became Adjunct Professor in EECS at University of California, Berkeley, where he has taught such courses as Advanced Topics in Photonics and Lightwave Systems, and led seminars on Plasmonics and Photonics and Plasmonics. He has published over 240 papers, received 47 patents, and has written or co-edited 5 books, the most recent being Optical Fiber Telecommunications IV A&B, co-edited with Tingye Li and published in March 2002, and "Optical Fiber Telecommunications V A&B," co-edited with Tingye Li and Alan Willner, published in March 2008. Prof. Kaminow is a Life Fellow of IEEE (Institute of Electrical and Electronic Engineers) and a Fellow of the APS (American Physical Society) and the OSA (Optical Society of America). He is the recipient of the Bell Labs Distinguished Member of Technical Staff Award, the IEEE Quantum Electronics Award, the OSA Charles Townes Award, the IEEE/LEOS/OSA John Tyndall Award, the IEEE Third Millennium Medal, the Union College Alumni Gold Medal and the IEEE Photonics Award. He is a member of the National Academy of Engineering, a Diplomate of the American Board of Laser Surgery, and a Fellow of the New York Academy of Medicine. 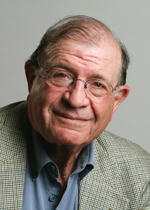 Prof. Kaminow left his adjunct position in 2012 due to health reasons, and passed away in late 2013. I. P. Kaminow, "Foreword," in Ultra-high Frequency Linear Fiber Optic Systems, 2 ed., Author: Kam Y. Lau: Springer, 2010. I. P. Kaminow, "Commercialization of Optoelectronic Integrated Circuits," presented at International Nano-Optic Workshop (iNOW), Shonan-Village, Japan, Aug. 2008. I. P. Kaminow, "Optical Integrated Circuits: A Personal Perspective," Lightwave Technology, Journal of, vol. 26, no. 9, pp. 994-1004, May 2008. I. P. Kaminow, "Reflections on a Career in Photonics," IEEE-LEOS Newsletter, vol. 22, no. 2, April 2008. I. P. Kaminow, T. Li, and A. Willner, Eds., Optical Fiber Telecommunications V (A. Components and Subsystems, & B. Systems and Networks), Elsevier/Academic Press, 2008. I. P. Kaminow, "Photonic Integrated Circuits: A Personal Perspective," presented at National Information Communication Technology Australia, Big Picture Seminar, Melbourne, Australia, Oct. 2007. I. P. Kaminow, "Tracking the Origins and Emergence of Photonic Integrated Circuits," presented at International Nano-Optic Workshop (iNOW), Jiaotung University, Lanzhou, China, Aug. 2007. I. P. Kaminow, "Photonic Integrated Circuits: Past, Present & Future," Davis, CA, May 2007. I. P. Kaminow, "Prospects for Photonic Networking," presented at Optical Fiber Communications Conference, San Diego, CA, March 2007. I. P. Kaminow, T. Li, and A. E. Willner, "Optical Fiber Telecommunications V (Book Launch)," presented at Optical Fiber Communications Conference, March 2007. I. P. Kaminow, "Plasmonic Antennas," presented at EECS Seminar, Feb. 2007. I. Kaminow, T. Li, and A. E. Willner, "Guest Editorial: Special 40th Anniversary Issue on Optoelectronics," IEEE/OSA J. Lightwave Technology: Special 40th Anniversary Issue on Optoectronics, vol. 24, no. 12, pp. 4428-4432, Dec. 2006. I. P. Kaminow, "Evolution of Integrated Optics: From 1969 Proposal to Commercial Applications In 35 Years," presented at European Conf. on Optical Communications, Cannes, France, Sep. 2006. I. P. Kaminow, "Predicting the Future of Optoelectronics (Seminar)," presented at Chengdu Inst. of Technology (UETSC), Chengdu, China, Oct. 2005, EECS Seminar, UC Berkeley, CA, Nov. 2005, 2005. I. P. Kaminow, "Growth of the Glorious Internet: Technology, Economics & Society: Technology does not develop in a vacuum," presented at UCB EECS Seminar, UC Berkeley, CA, Jan. 25, 2005, also USC Seminar, Univ. Southern Cal., Apr. 15, 2005, 2005. I. P. Kaminow, "Predicting the future of optoelectronics," in APOC 2005: Asia-Pacific Optical Communications, 2005. I. P. Kaminow, "On Predicting the Future," presented at CONSRT Nano Optoelectronic Workshop, EECS, UCB, Berkeley, CA, Aug. 2005. I. P. Kaminow, "Predicting the Future of Optoelectronics," presented at International Nano Optoelectronic Workshop, UC Berkeley, CA, Aug. 2005. I. P. Kaminow, "Amnon Yariv 75 Celebration: Fuzzy Recollections," CalTech, Pasadena, CA, April 2005. I. P. Kaminow, "Optical Fiber Telecommunications: Present, Past & Future," Intel, Santa Clara, CA, May 2004.